Would it surprise you to know that only about 8% of plastic surgery patients are male? Probably not, since most patients you hear about are female. Even with that small percentage, the number of male patients has grown by 23% since 2010. Every year, more and more men are discovering how plastic surgery can benefit them with surgical and nonsurgical procedures. Unsurprisingly, nonsurgical procedures are done far more often than surgical ones. This is true for female patients, too. Nonsurgical procedures cost less money, have less recovery time, and are less risky for the patients. What Makes These Procedures Popular? Women are not the only ones who are concerned with maintaining a youthful appearance. Men can be just as concerned about looking attractive and desirable to keep their self-confidence high. Men are also just as likely to be bullied or ridiculed for how they look, both as teenagers and adults. The procedures that made the top five lists can do a great deal for male patients. Breast reduction and liposuction can help a male patient have a trim and fitter-looking body, which always provides an ego boost. Facelifts, eye lifts, and nose jobs help make the face more attractive by making it appear more youthful and balancing out the facial features. 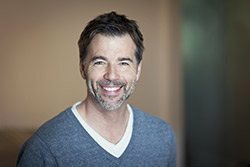 The nonsurgical procedures, though not as permanent, can also improve a male patient’s self-image by focusing on the skin appearance. Microdermasion and chemical peels remove damaged layers of skin so that it has a smoother, tighter look and feel that contributes to a younger-looking face. Botox and dermal fillers combat wrinkles and add volume to the face to keep the proportions right and those annoying signs of aging at bay. Laser hair removal keeps the skin looking smoother and younger by getting rid of unwanted hair around the body. Though these procedures are the most popular, they are by no means the only ones that can help male patients. Just about every procedure that is offered for women is also offered for men. Though male patients tend to have different needs physically than women, the benefits are still the same. Plastic surgery is meant to help the patient put their best selves forward, whether they are trying to attract a partner, apply for a job, or simply putting on clothes in the morning. The number of male plastic surgery patients may be small, but it’s growing steadily every year and it’s no surprise why. Located in Scottsdale, AZ, the Shapiro Aesthetic Plastic Surgery and Skin Klinic is the solution to your surgical and nonsurgical plastic surgery needs. Dr. Daniel Shapiro is experienced in a wide variety of procedures for the face and body. Our Skin Klinic also offers various skin care treatments and procedures to help you look and feel your best. To schedule an appointment, call (480) 451-1700 today.